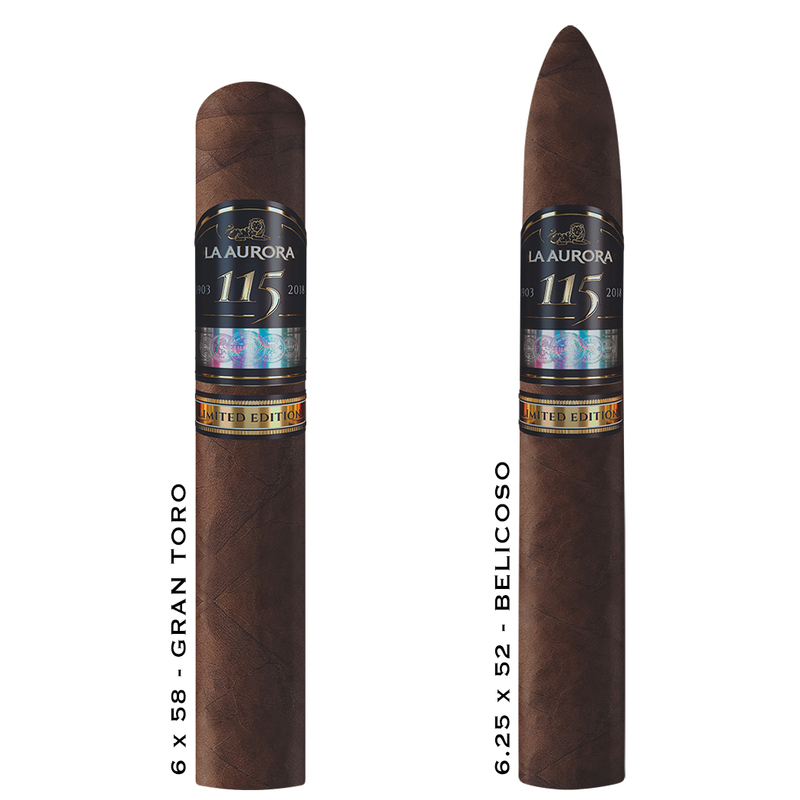 La Aurora 115th Anniversay - Buy Premium Cigars Online From 2 Guys Cigars . 115 years have passed since Eduardo Leon Jimenes founded the oldest and most internationally renowned cigar factory in the Dominican Republic. Today the company maintains the values ​​of quality, dedication, effort and perfection that have characterized it since its founding. In commemoration of the date, La Aurora has masterfully created the La Aurora 115 Anniversary. It's availble in a box of of 15 Belicoso format cigars of which only 3,000 boxes have been made worldwide as well as the ultra-limited Gran Toro Jar Edition of which only 800 jars were produced for global consumption. This cigar, La Aurora 115 Anniversary, is the culmination of a meticulous selection process that starts with the Ecuador Corojo wrapper followed by the binder from Cibao Valley, Dominican Republic and rounded out with filler tobacco from Brazil and Dominican Republic. The cigar offers spicy notes of cinnamon with nuances of tropical fruits and notes of cedar wood, with sweet honeyed aromas, such as molasses and hints of caramel. In addition, coffee notes are evident during smoking.